We are located in the picturesque Dry Creek Valley, in the northwest region of Sonoma County in Northern California, just outside of the idyllic town of Healdsburg. 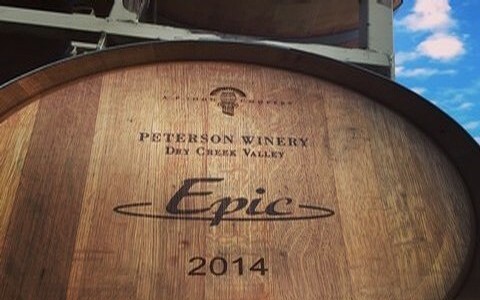 please give us a call at 707-431-7568, or email tastingroom@petersonwinery.com. Our friendly, well rounded tasting experience is $10- $15 per person, refundable with any wine purchase. Our simple, converted tasting room, with large windows and views of the Dry Creek Valley, is a laid-back, comfortable space in which to become acquainted with our wine offerings. Upcoming public events and private club member events are always a great way to connect with our winemaking team and family.